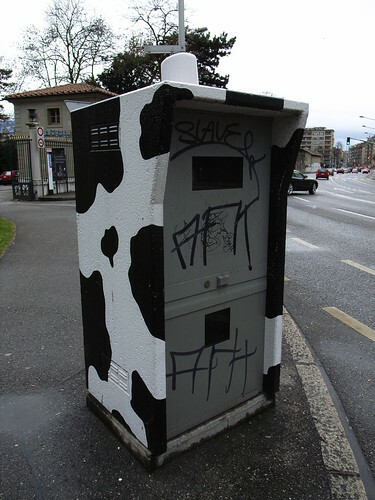 Spotted in Geneva this morning, this somewhat cute speed radar dressed with the idealistic cow camouflage (very close to the WTO offices). How this change the user experience of being detected? Is it about visiblity?